Why is BeatMaker 3 crashing often ? I don’t know why BM3 crashes so much now. I was using it for a while and it was ok, but seems like whatever I do, it’s prone to crash. For example, I loaded a drum midi track , made a simple 1 bar groove, added an audio track, browsed for a loop in the samples directory and crashed. It also crashed a few times using AU SynthMaster and automation. It just doesn’t feel solid. I have tried Cubasiis and it’s ok.
I’m on a new IPad 2018.and latest IOS 11.4. Some third party plugins sometimes cause issues at present. Try looking at those. How long are your samples. Sometimes really long ones cause crashes. Not sure if maybe your midi file is an issue. I seem to remember some midi files causing problems. Have no idea why that would be the case or if it was my imagination. Oh and I don’t think SynthMaster is rock solid itself yet from what I hear. Experiencing the same issues, project with all BeatMaker factory samples and one instance of Phasemaker, very simple loop, crashing frequently. 2018 128gb iPad, no issues on other apps at moment. Quite frustrating as BeatMaker has a lot of potential but is irritating rather than fun at moment. You can send it to me too if you like, i rarely get any crashes, so interested to have a look. I get a lot of plugin crashes, especially with Arturia SEM and Beathawk. BM3 seems to have issue with multiple instances of these plugins. I do not experience these issues with Garageband...I've run 10 AU plugins with no hiccups in garage band, yet have two instances of Beathawk crash in BM3. The beathawk crash happens in everything, acknowledged by its own developers UVI, they said they would fix it and they haven't. I never have BeatHawk problems in GarageBand. I guess there’s value in developers attending WWDC to get tips from top engineers. Intua’s logo on the big screen at wwdc. They know what they’re doing. We’re waiting for the next update that they’ve been working hard on for months now. So weird. 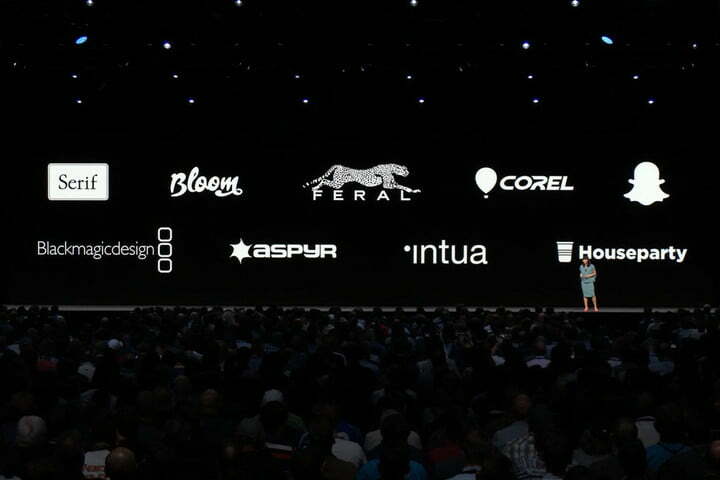 I get a warm feeling when I see Intua’s logo on the screen at WWDC. Almost like it’s my company, or I work there or something. Like a friend. 43 years in and I now get what it feels like to be a fan of a sports team. Sporting team? Hehe, I am such a dork. Its football, not soccer, you play it with your feet, unlike that other football that you play with your hands lol. How to make friends and get help quick haha. Lmfao. I’m American and have always been at a complete loss for why we call our Football...Football. Can’t say it’s because handball was taken—because Football was taken. In the NFL, there are only 2 players on the field who can actually use their foot on the ball. No one respects those guys on any team.lol. In fact, the most entertaining game you can have is when fans DONT see the punter/kicker much if at all. I can’t beleive how unstable this program is. I really think it’s dope when it works, but crashes almost every 30minutes. I load an instrument, AU, Inter app so on.. weird..maybe just better using samples. I just noticed the bar that shows the delete , select tool in song mode page showed double on screen..couldn’t get rid of it.. weird. Maybe not what you want to hear if you have favourite IAA apps but a lot of instability comes from using those as opposed to AU. Send a screen shot and possibly session project to Intua te the double graphic. Try not to use super long samples. Or over stretch your cpu in accordance with your iPad model. I rarely get crashes.amd this is what I tend to follow to make that happen. Next version should be even more stable. Maybe it’s the problem? I use no samples, except drums. max 3 banks. I’d really love to get into this program too as it seems dope. I use B3 for 60+ mins every day, and I get about 1 or 2 crashes a month. It really helps to stick with AUv3 and kick out the IAA synths. These crashes are quite simply not the norm, i use B3 for over an hour with Phasemaker with zero crashes, something else is causing it. No matter how many timesyou state ithere and the AB forum, that wont change, if you have a crashy project share it, we will all take a look. I am using actually mostly all AUv3 Brom Brothers , Arturia Isem, Phasemaker..I use very few Inter app. Sometimes the banks from the shop are loaded with a ton of effects, and it's possible all those reverbs and modulation effects bound to the macros are stressing out your CPU. I would suggest unloading any insert effects on the 909 bank that you don't need. Also, if the double buttons were spaced out some vertically, you might have had the automation pane at the bottom of the screen expanded. Those buttons are specific to automation. If it wasn't that, share a screen shot or a screen recording. I dont avoid anything except IAA, which i think should be shot in the face. Only crashes i have ever had personally have been caused by AUv3s, but i dont do a lot of things others do a lot. Good points .. I'll try them.